Anyway, the show winners were absolutely over the top, and every year the bar seems to get higher. I don't think I'll ever achieve that level, but maybe someday, oh say, twenty years from now! A few quilts really caught my attention for their quilting. It was fascinating to see how the quilter combined different fills to make a beautiful piece. I'd show some pictures but I don't want to get in trouble with the copyright police. As for the shopping, I was looking for fabrics for landscapes, but nothing was quite what I wanted. 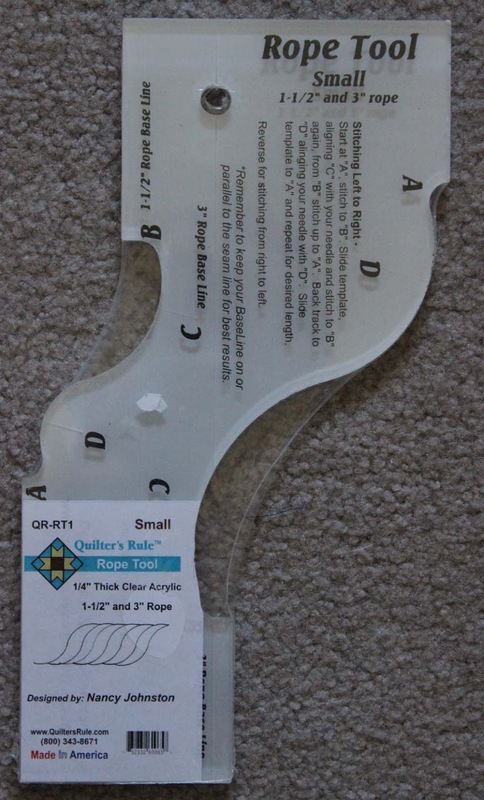 But I did get a fun new longarm ruler to play with, for making ropes. And of course, I had to stop by the Innova dealer. That one is my dream machine, with such a smooth, easy glide. 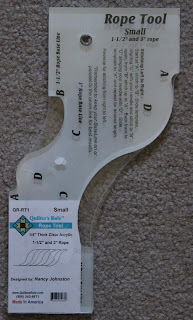 Today, not much quilting getting done as I've been updating the look of my blog. It was time for some new pictures--what do you think? Glad you are having fun at PIQF! I totally agree with you with the Innova - I've had mine for 5 years and LOVE it!!! !